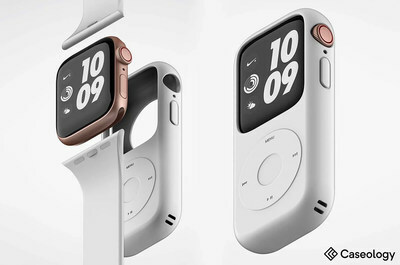 Abel Series Smartwatch Case for Apple Watch 4 - Coming Soon! CERRITOS, Calif., Feb. 4, 2019 /PRNewswire/ -- From first looks to first releases, Caseology showcases everything from cases to wireless chargers as a leading smartphone accessory brand at this year's Consumer Electronics Show. Widely known for its slim and protective cases, Caseology exhibits its complete collection of non-toxic cases that are safe for you and your family — babies included. Caseology, founded in 2014, is a fashion accessory brand focused on designing stylish, best-selling cell phone cases to complement consumer's busy lifestyle. With more than 400 products under its belt, Caseology continues to push the envelope on innovating 'tech-cessories' for iPhone and Android devices. For more information, visit www.caseologycases.com or follow Caseology on Facebook, Twitter and Instagram. Visit Caseology to see their entire collection of accessories including smartphone cases, smartwatch cases, wireless chargers, and more!